" ... Margarine is in there, natural fruits and berries, and, surprisingly, Barbecue Potato Popchips! " make the Bruno Mars Pompadour? " 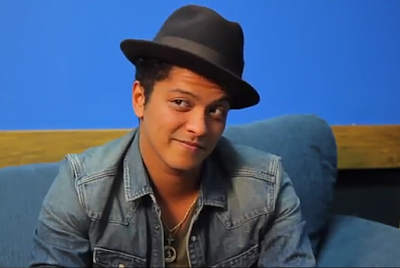 Check out this video below to see the full interview and hear even more "Quirky Quotes" from Bruno Mars, courtesy of popchips' official YouTube channel!